REGION — California West is one of San Diego’s most honored and time-tested homebuilders. 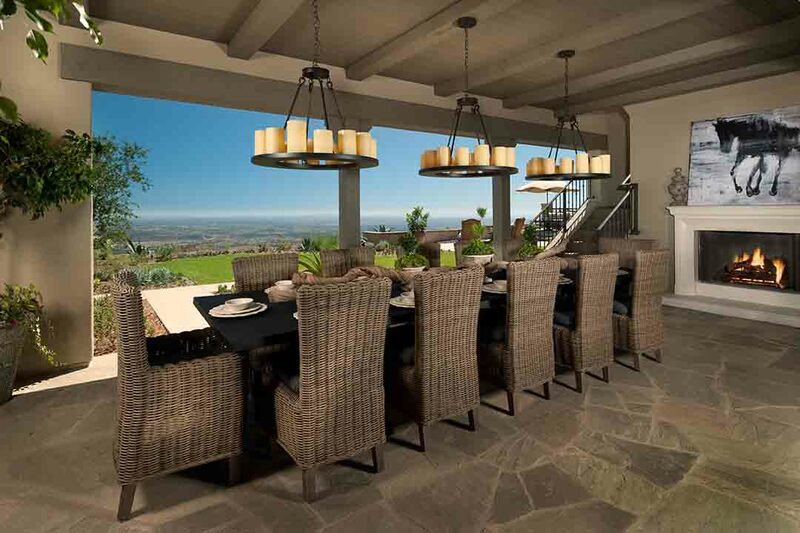 This tradition of building highly personalized residences throughout the county is now showcased at two of the areas fastest selling and most popular communities: Southern Preserve, La Costa (SPLaCosta.com) and Upper Cielo, Rancho Santa Fe (UpperCielo.com). The two new collections of custom-inspired estates present the opportunity to co-create a highly personalized residence with the California West team. The limited, view-oriented homesites at Upper Cielo each reflect a unique and varying relationship to the land with mountain to ocean views. The oversized residences at Southern Preserve, reflecting some of the largest homesites in all of Carlsbad, provide homebuyers multiple floor plan layouts and elevation styles to select from. The unique architectural styles adopted for both communities were developed to facilitate enjoyment of the scenic beauty of both settings. California West presents Upper Cielo, 41 custom inspired residences at the top of CIELO in exclusive Rancho Santa Fe. The gated community of CIELO is an exclusive community of spectacular luxury homes and custom homesites which occupies one of the highest vantage points along the San Diego coast, providing an unprecedented portal to sweeping views that stretch from the Coronado Islands and La Jolla to Lake Hodges and the coastal mountains. Beginning with the Gate House, which is manned 24-hours a day, you will find that CIELO is a community of preeminence and prestige. Homes at Upper Cielo, Rancho Santa Fe showcase up to five bedrooms, five and a half baths with pricing starting in the low $1.5 million. Optional living spaces are available, including a second master bedroom and observation deck. Residents have access to private, recreational amenities, including a community pool and spa, two tennis courts, a fitness center and much more. Upper Cielo is now open daily. For more information, call (858) 756-4572 or visit UpperCielo.com. California West’s 49 personalized residences of Southern Preserve in the coastal community of La Costa, Carlsbad is now offering a limited collection of homes overlooking the rolling hills of Olivenhain and bordering acres of a natural preserve and open space. Highlights include a private cul de sac, multigenerational floor plan and casita options, oversized backyards and sweeping views on select homesites. The single and two-story homes at Southern Preserve, La Costa showcase up to six bedrooms, six and a half baths, and are priced from $1.3 million. Each floor plan offers a covered outdoor living area and large, free flowing kitchen space. Families at Southern Preserve will appreciate access to the coveted, award-winning schools in the area. The Encinitas Union School District (EUSD) is comprised of nine kindergarten-through-sixth grade schools, all acknowledged for providing innovative learning opportunities. The San Dieguito Union High School District includes five comprehensive middle schools for grades seven through eight, and four comprehensive high schools for grades nine through twelve. In the last decade, the San Dieguito Academy received the California Distinguished School Award and an accreditation from the Western Association of Schools and Colleges. These districts are among the nation’s finest, offering a wealth of academic and extracurricular opportunities to help students engage and excel. To learn more, see maps to the models, and register for future community updates, please visit SPLaCosta.com, or call (760) 652-5426 and learn more about the pre-qualification process. It’s an approach that embraces a passion for building custom inspired homes, with a heightened level of design, sophistication, sensitivity, and individuality. One extraordinary location, one home, one stone at a time.